Primal Age is OG Vegan Straight Edge 90’s Metalcore from France. 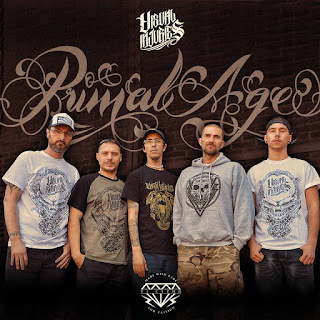 just to became Primal Age again in 2006 and remains active under that name until today. ...still vegan, still straight edge, still shredding that 90’s Metal(core) sound. get on discount from the BBMA webstore). Check them out! I'm xDimitrix, I play bass, do some backing vocals and also write the lyrics for PxA. to keep this adventure alive. We feel proud to stay after all these years. the beginning: the defense of Earth and all the living creatures you find on it. Diorama Records another one on tape (out soon). Thank you Tim for your assistance and the support in this project. We wish you all the success in what you do. these shity things to get better. Less dispersal to keep your energy focused on one goal at the time. Work according to your ways and means, passion will make the rest.